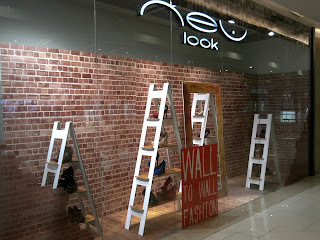 New Look window display is like an unfinished house. The walls are made of red bricks and some of them are still on the finishing process. 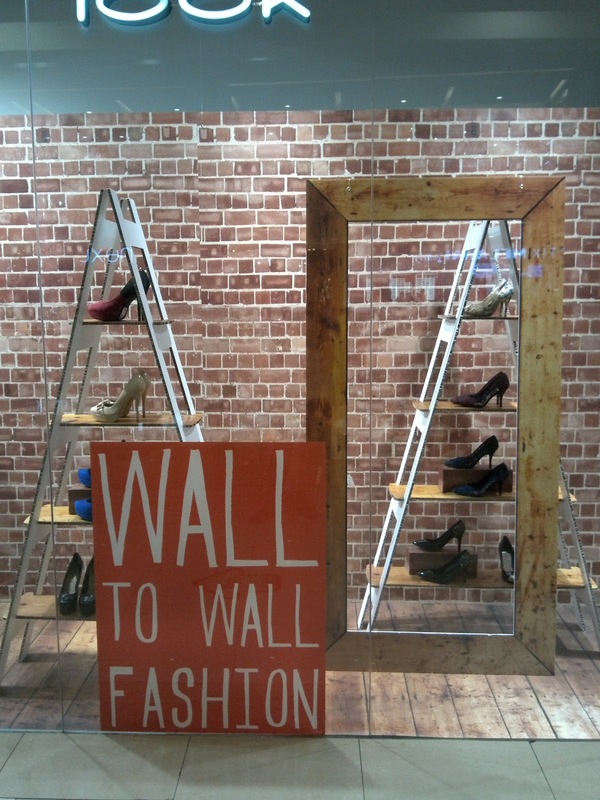 There are some wooden stepladders standing in the middle of those walls. 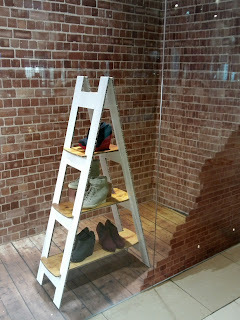 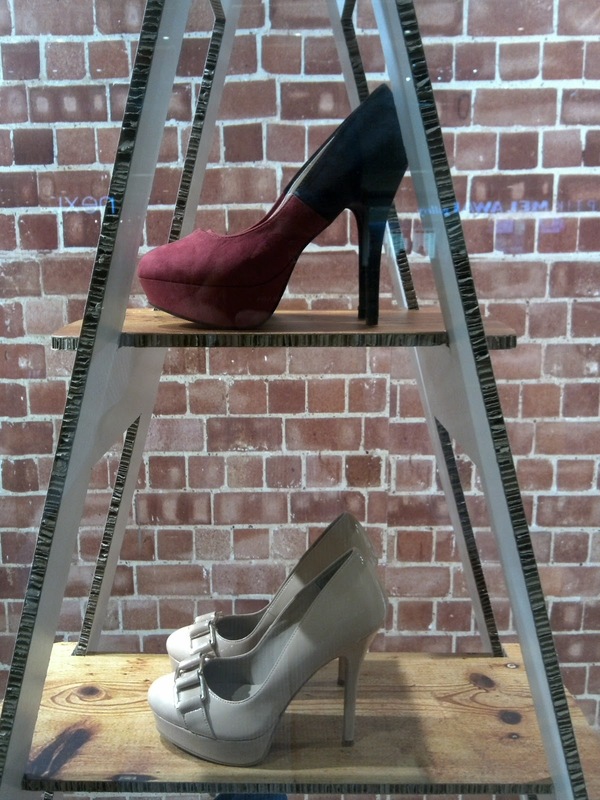 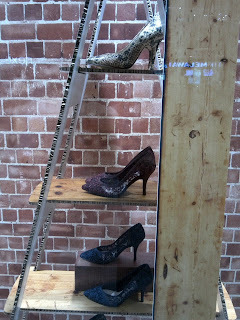 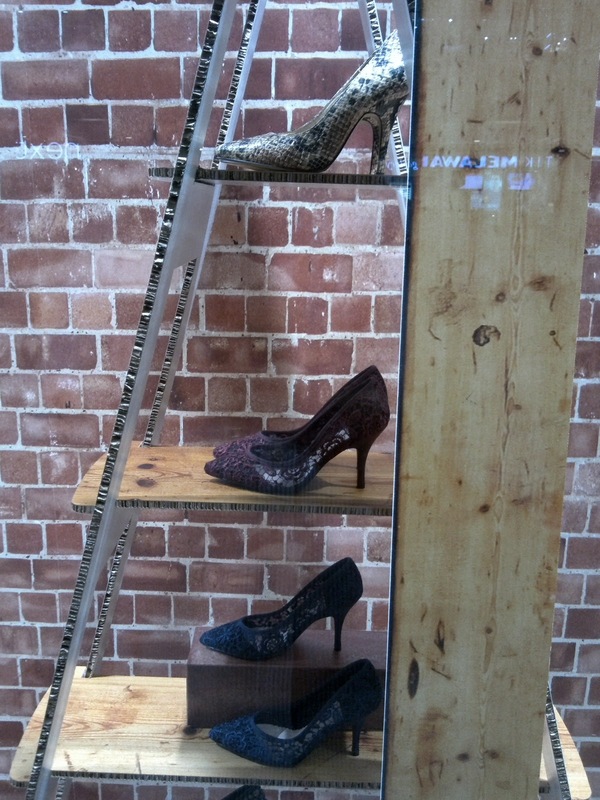 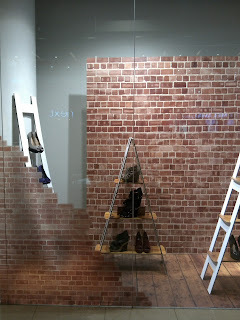 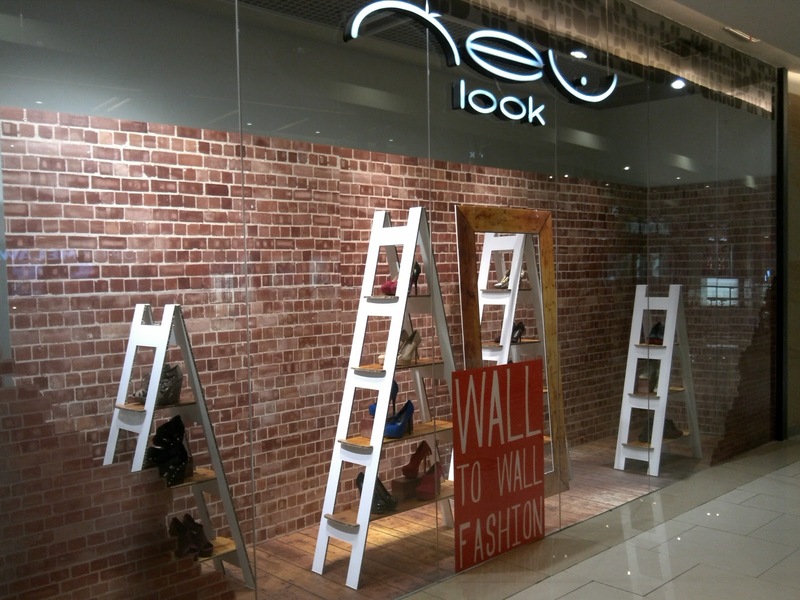 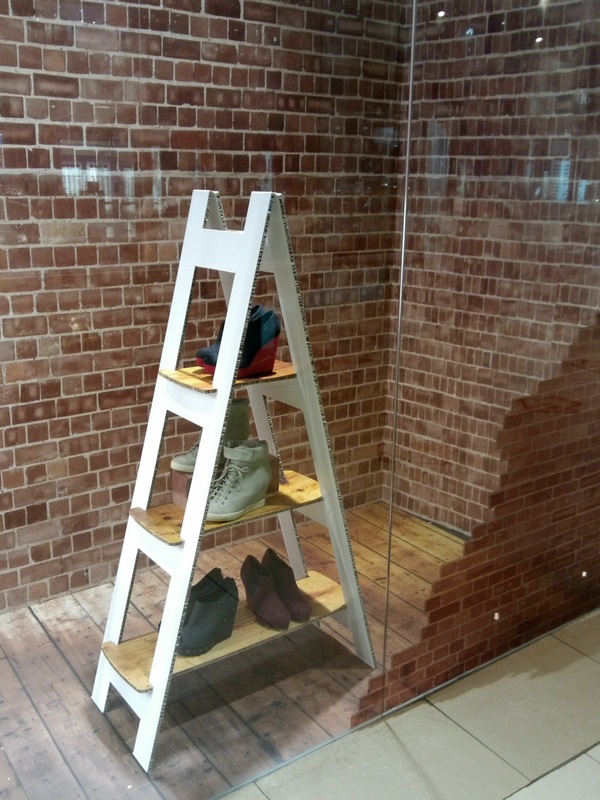 Those ladders are used to display the shoes collection that although has a very reasonable price, they look fabulous.